I am certainly happy you mention this as a side dish. Whew! Now that you have all that flavor in the skillet through on the meat! 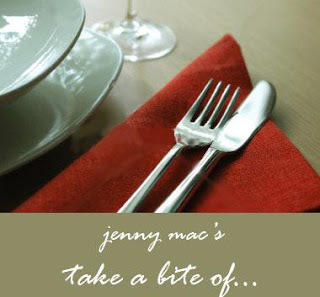 Thank you for your kind comments JennyM. You are now linked if you don't mind. This sounds and looks totally rad an delicious! Thanks for visiting my blog! I always love meeting people who share my affinity for food and drinks! Yum! Wish I had more time to go out and pick the ingredients up for tonight. Thanks for stopping by my site. I will be back for more great posts. Looks delish, I only tasted artichoke once and it was good. I just dont know how to cook them. thanks for sharing the recipe. The gratinata sounds absolutely delicious and I'm going to secretly slide it into one of our meals in the hopes that my vegetarian daughter will like it! Looks yummy! Almost makes me want to cook!! Stopping in from SITS! You had me at artichoke... Sounds delish!! hey girl, thanks for coming by! that looks so yummy!! i'm seriously drooling right now! Artichoke hearts are about the only healthy thing I like eating. I may have to try this recipe out. Artichoke is one of my favourites. Sadly, it's out of season here at the moment (winter), but I'll have to bookmark this one for springtime. Holy cow, I have everything I need to make that, including the artichokes - that's a keeper! I read your previous post and if you get a second, check out my post from yesterday - it talks about a spelling doozie in there! Love your site - too adorable!! Ok...I'm ready...where is an extra fork??! Looks delicious! Hubby is so anti-artichoke though it's not even funny! Maybe I can trick him into it... Thanks for visiting my spot today, I love SITS! Oh my, that sounds amazing. I'll have to try it. Thanks for sharing!